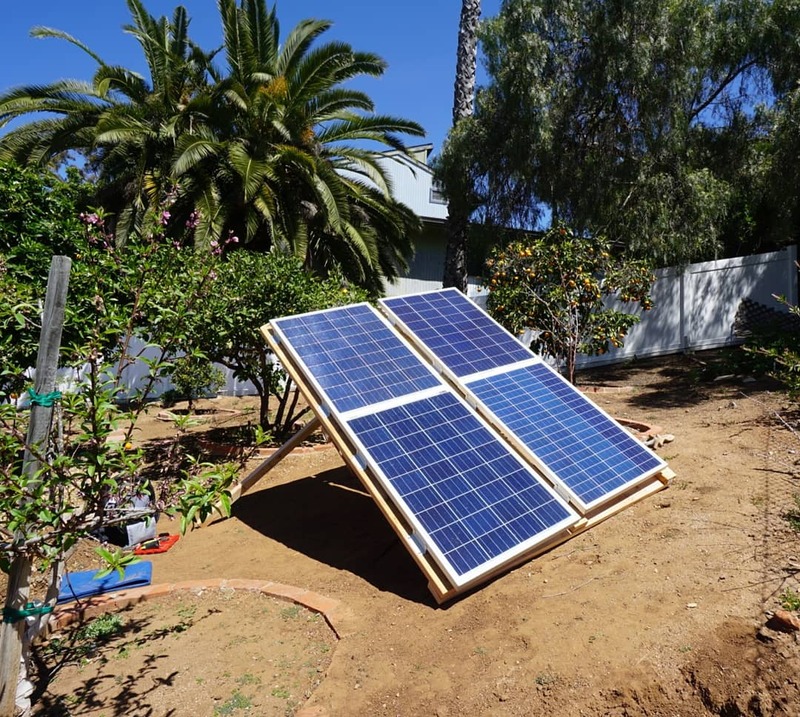 DIY Ground Mounted Solar Array - Mobile Solar Power Made Easy! Use a ground stake screw to secure the entire array to the ground. You can also use sand bags or concrete blocks. If is not secure, even a moderate amount of wind can cause it to flip/fly away/destroy itself. Use lots of triangles! This will make the structure extremely strong. I had a minimal amount of wood to work with, but managed to put quite a few triangles in this design. 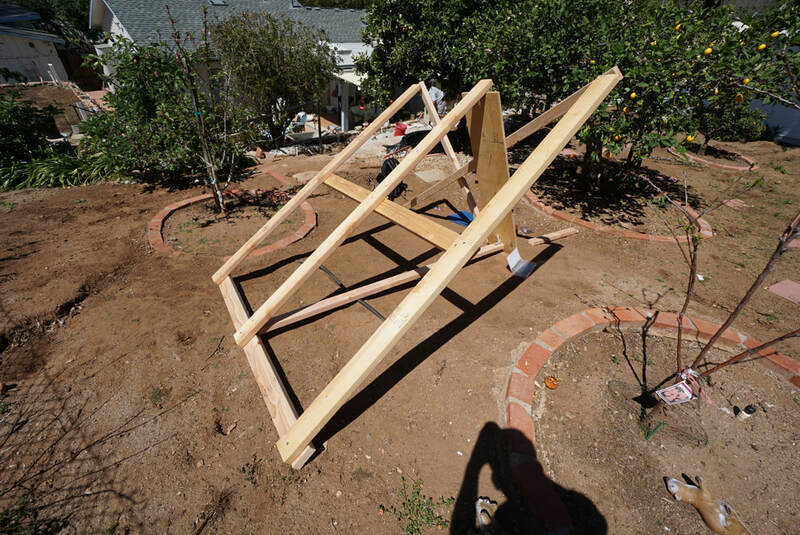 The hardest part is putting a triangle in the structure that lifts the entire frame up to the desired angle. Use high quality screws and L-brackets to connect the wood together. Do not use cheap hardware! The hardest part of this build was running the wire. My solar power system is 130 feet away from this array! So I connected all of these panels in series, used 10 gauge copper wire, and I have full power output at my solar power system. 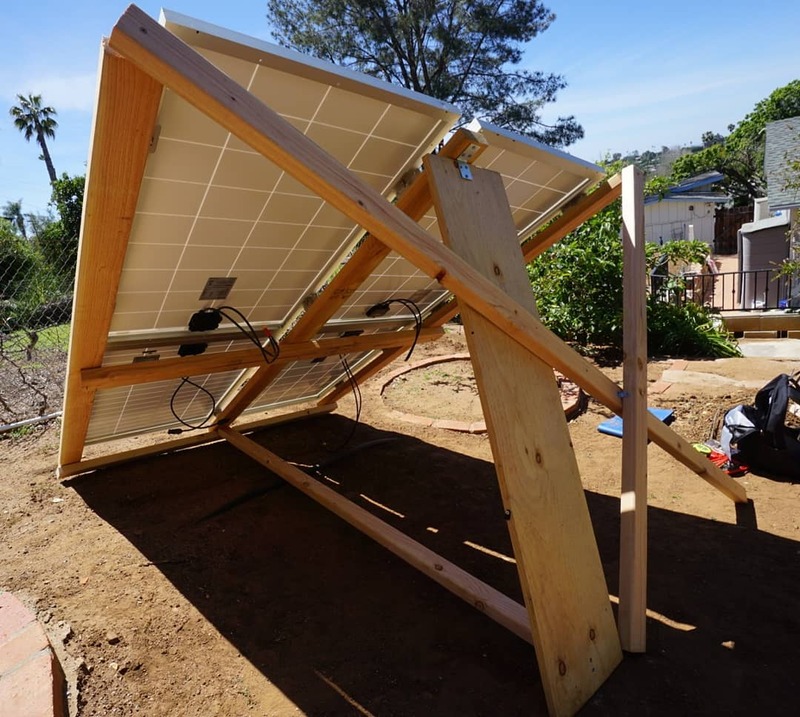 Each connection between the array and the solar power system needs to be perfect if you want full power output. Use the right hardware! This solar array has its own dedicated solar charge controller. This is important because if I put it in parallel with my other arrays that are shaded for half the day, the power output of this array would be compromised. So if you want maximum power from an array that has its on in-series string and has different light angles than your other panels, use a dedicated charge controller. Use Z-brackets when connecting the panels to the frame! Very important. They are rated for outdoor use. Also use safety rated solar panel hookup wire that is uv resistant. Do not use standard wire to connect your array to your system! ​Wood from local hardware store. I used some standard 2x4's and some random pieces of wood. 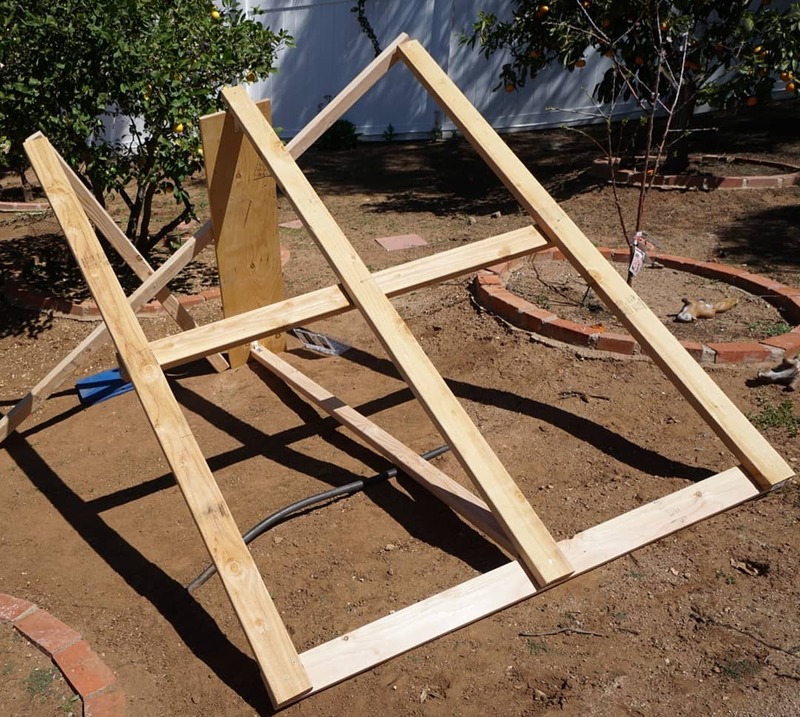 Build a frame on the ground that will fit your solar panels, then lift one side up to angle it.